﻿ Villa Simonne Johannesburg. JIMAT di Agoda.com! Ada soalan mengenai Villa Simonne? Ketika melawat Johannesburg, anda akan merasa seperti di rumah di Villa Simonne, yang menawarkan penginapan berkualiti dan perkhidmatan hebat. Pusat bandar hanya 10. Km jauhnya dan boleh sampai ke lapangan terbang dalam tempoh 27 minit. Tidak kurang hebat adalah akses mudah hotel untuk ke pelbagai daya tarikan dan mercu tanda bandar, seperti Konsulat Amerika Syarikat, Konsulat Lithuania, Killarney Mall. Kemudahan dan perkhidmatan yang disediakan oleh Villa Simonne memastikan penginapan yang menyenangkan bagi para tetamu. Tetamu hotel boleh menikmati kemudahan seperti Wi-Fi percuma semua bilik, pengawal keselamatan 24 jam, pengemasan harian, pendiang api, penghantaran barang runcit. 16 bilik di sepanjang 3 tingkat menyediakan suasana nyaman dan menyenangkan. televisyen skrin rata, karpet, rak baju, kopi segera percuma, teh percuma boleh didapati di beberapa bilik. Hotel ini menawarkan pelbagai kemudahan rekreasi yang sangat baik, termasuk papan damak, bilik yoga, tab panas, sauna, padang golf (dalam jarak 3 km) . 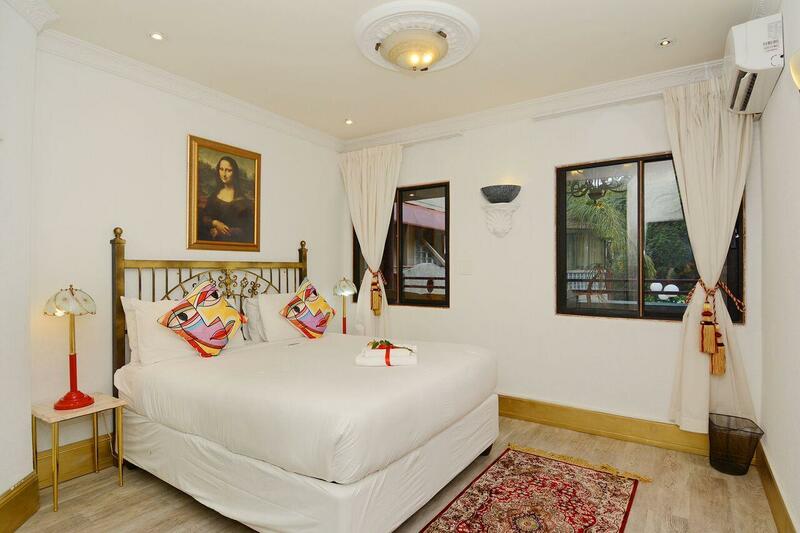 Villa Simonne merupakan tempat yang ideal bagi penginapan pelancong yang mencari keindahan, keselesaan dan kemudahan di Johannesburg. I loved this hotel for its unique decor, beautiful grounds and friendly staff!! Would definitely stay here again! Excellent dining service. We were the last people eating and the waiter patiently waited for us, didn't rush us or anything. Very grateful for his hospitality!!! The room was huge as well. The reviews and pictures online is very deceiving. Property not well kept. Very noisy - i had a room close to the road - traffic and hooting. Also checked in on a day when a company was celebrating their year end party. Cleanliness with food preparation should be checked. eg. tomato sauce bottles need to be washed and the lid too. Breakfast area needs to be cleaned. Plates greasy and sticky underneath. Enjoy the breakfast , garden was lovey but they do not have shuttlevservices for short distance. Outstanding and caring staff, a staff member went out late in the evening to a distant pharmacy to get medicine for our child. Great (and customized) dinner and breakfast as well. Everyone in the family was pleased with our vast room and our stay! Convenient to so many facets of Johannesburg. We booked three days at the Villa Simone, the most unusual place I have ever stayed in. Nine months ago it was someone's home, a grand mini-palace behind walled gates in the Beverly Hills of Johannesburg.The Greek owner, who we spoke to, designed the home for his wife Simone, who had recently passed away. He and his family decided to convert the place into a boutique hotel. We slept in the Maharaja room, Indian-inspired, choosing that one over the New Orleans suite, up a second set of stairs. Exploring the dozens of rooms and areas was fun, especially because all of the decorations and artifacts were still in place. They serve a great breakfast and dinner can be arranged with the talented chef. Wi-fi is available as is transportation with Ted, a friendly, talkative fellow who will take you anywhere you want to go in Johannesburg...for a fee, of course. My suggestion would be to use the Hop-on, Hop off service. Have Ted take you to the Park Train/Bus station for the start of the big red bus tour. Be sure to include the Soweto option, a positive, eye-opening experience to be sure. To say that this hotel is over the top is an understatement. Every possible space is filled with something, usually gold. Good grounds and security. Great Arrived late but enjoyed wonderful salads and wine. Room was very comfortable and staff was very accommodating. It was great with no issues, I highly advise staying here. It's a beautiful hotel. When we arrived I thought I made a mistake by booking this Hotel. BUT, to my amazement I was pleasantly surprized. The staff was very friendly and very helpfull. We felt at home. The rooms are beautifull and very stylish and of high standard. It was very quiet and tranqual. We went for supper in walking distance from the Hotel. The service is personal. The rooms and decor, enthralling, great location. 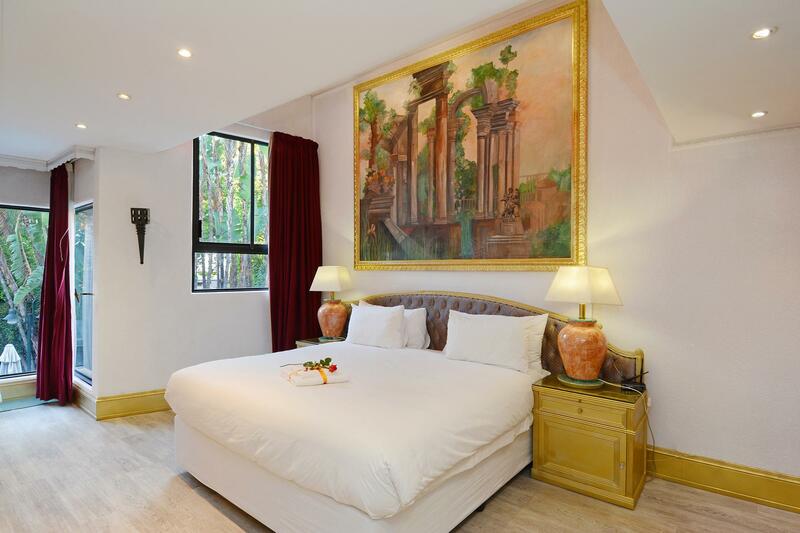 the villa simonne had changed my whole outlook on johannesburg and hotels. this is where i will definitely be staying for any and all visits to this city. there is a level or personalized care and service that i have only ever found in my own home. the gardens and rooms are beautiful to the point of being literally jaw-dropping. i did not want to leave the sanctuary of the hotel at all. i recommend this place to anybody looking for that extra mile. We stayed in this hotel for 4 nights and it was Amazing. The staff was Great, accomodating and so friendly. The hotelk itself is Beautiful and if i go back in JNB, i will stay there again. I highly recommend it. No two rooms are alike. Each room is designed based on a different part/culture of the world. 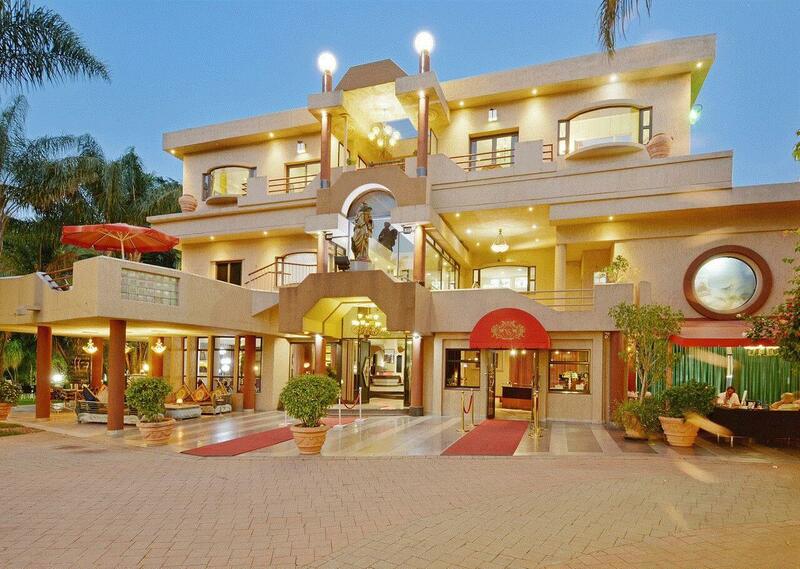 This is a large family home that was converted into a boutique hotel. We were greeted by two beautiful and loving dogs when we got out of the car. We stayed for two nights just for a weekend of relaxation and was happy to be able to stay in two of their best rooms....Geisha, with a Japanese theme and Olympia with a Greek theme. Geisha has a nice style whereas Olympia was very spacious with a separate lounge area and kitchenette. The staff are very helpful and they make an awesome omelette for breakfast. I would recommend it to anyone looking for space and relaxation in a not so monotonous style of hotel rooms. 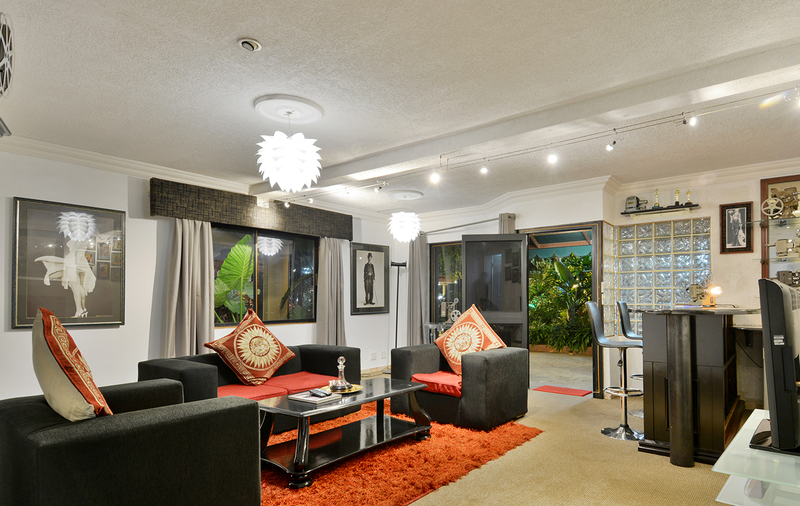 This is a large family home that was converted into a boutique hotel. We were greeted by Rossi and Sahara, two beautiful and loving dogs when we got out of the car. We stayed for two nights just for a weekend of relaxation and was happy to be able to stay in two of their best rooms....Geisha, with a Japanese theme and Olympia with a Greek theme. Geisha has a nice style whereas Olympia was very spacious with a separate lounge area and kitchenette. The staff are very helpful and they make an awesome omelette for breakfast. I would recommend it to anyone looking for space and relaxation in a not so monotonous style of hotel rooms.